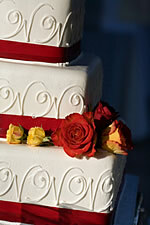 Today's wedding cakes are works of art. 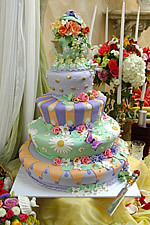 From the perfectly simple, to the gravity defying whimsical, bakeries are turning the traditional wedding cake on its head. 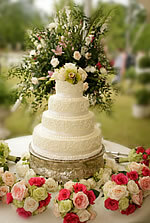 When deciding what kind of cake you want for your wedding, be sure to peruse bridal magazines and search the internet to find an assortment of styles that catch your eye. 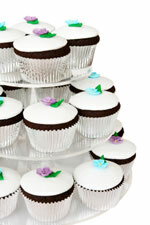 Clip them or print them and take them to your baker interviews. 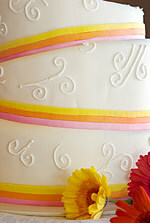 Consider the detail pattern on your dress. 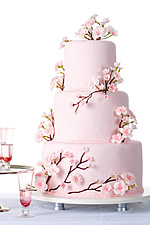 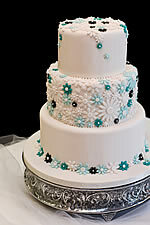 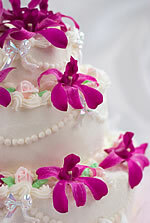 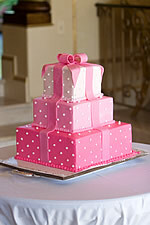 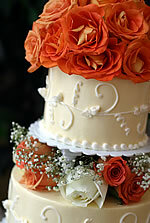 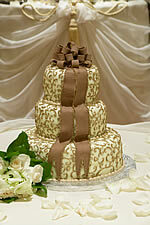 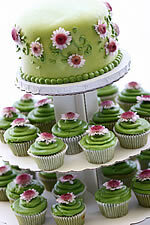 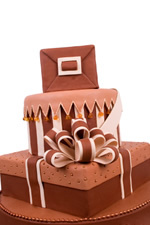 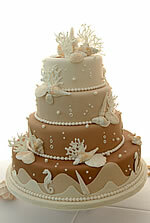 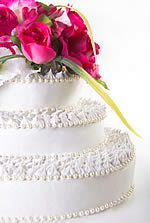 Often, cake designers can match beautiful lace detail or pearl and crystal patterns. 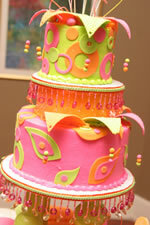 Be creative with your colors. 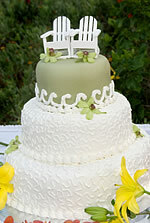 Wedding cakes don't have to be all white. 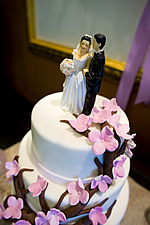 Explore the variety of wedding cake topper options, as well. 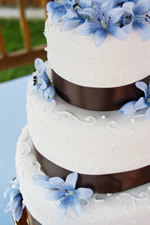 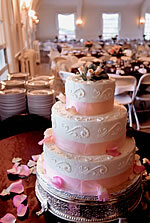 You can have your cake decorated with fresh flowers, gorgeous monograms, or even whimsical figurines. 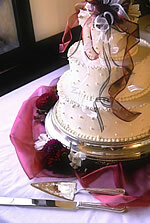 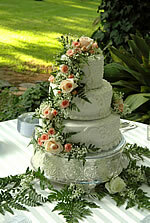 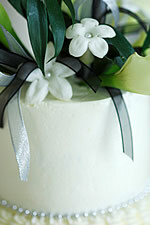 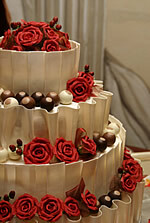 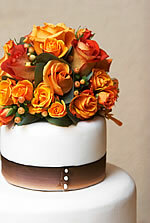 It's important to let your wedding cake express your wedding style and make it a centerpiece of the reception. 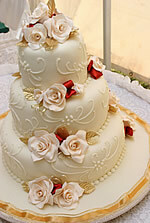 Providing the bakers you interview with pictures of what you have in mind will help them determine your style and will enable them to guide you to suitable cake designs and options that fit within your budget. 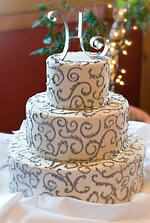 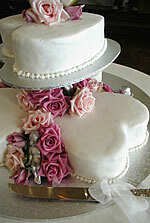 Check out our wedding cake gallery for some fabulous and creative ideas!